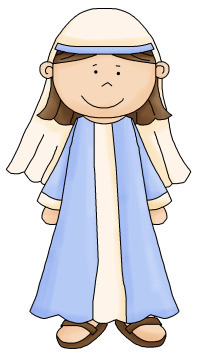 Click the arrow to listen to the retelling of the story Jairus Daughter. My name is Amos. You don’t know me. I’m just a boy and not very important, I guess. But, I have a really good story to tell if you’d like to hear it. It’s not about me though. It’s really about my sister. Her name is Naomi. But, you probably don’t really know her either, at least not by name. I understand that most people only really know that she is my Papa’s daughter. You might know my Papa though. My Papa’s name is Jairus. This is about the day that my Papa met the Master. You know who He is. The Master is Jesus. Well, it all started in a kind of silly way. You see Naomi and I were both still a little hungry one night. There was just a little bit of fish left over from a picnic that we had gone on the day before. Mama had said to throw it away because it was summer and food spoiled quicker in the heat, but Naomi and I had hidden some for a snack later. I had eaten mine the evening before, but she had saved hers until last night. She ate it just before going to bed and there was no problem at the time. That night we went to bed just like usual. But, Papa and Mama were talking about something really important so, I kind of stayed awake to listen. They were talking about a rabbi named Jesus. I had heard about him from some of the other boys. They said that people were saying that he was healing sick people like leper’s and blind people. The blind people were getting to see, just like you and me. And some people were even saying that he was the Messiah that we Jews had waited for such a long time. Well, anyway, Mama and Papa were almost arguing about this rabbi Jesus. Mama was telling Papa about all the wonderful things that people were saying about Him. Papa would say that he had heard at the synagogue that He was stirring up the people to rebel against the Romans and against the scribes and Pharisees in Jerusalem. He was sure that there was going to be some trouble with this rabbi and that we should stay away from Him and not go to see Him if He came to our town. Mama said that she wanted to know more. This man might be a prophet or even the Messiah and she wanted to make up her own mind. Papa said that a prophet would probably be recognized by the leaders in the synagogue or by the scribes and Pharisees in Jerusalem. They were all sure that He is some sort of trouble maker like those zealots that keep trying to stir up rebellion against Rome. He was going to steer clear of Him and so should Mama and us children. Well, that was pretty much all they said. Then they went to bed and we all had a peaceful sleep until about two hours before dawn. Naomi started moaning and groaning something awful. And she was holding her stomach saying that it was hurting really bad. Mama got up first to see what was wrong with her and to get her some water mixed with some wine. That would usually help out an upset stomach, but Naomi just started throwing up all over the place. Mama then called for me and Papa to get up and help out. I had to get a big bowl with water in it and some cleaning rags to help clean up the mess. She asked Papa if they should send for the doctor and he said to wait a little bit to see if she would settle down. Well, two hours later the sun was coming up, we were all still very tired and Naomi was still moaning and groaning. Only now she was going at it with all she had. I am sure that they could hear her halfway across the village. Papa then decided that it was time to go and to get the doctor. When Doctor Gomer got there, he mumbled a lot and gave her some of his medicine to take, but she just threw that up too. Some of the other ladies in the village came to see what they could do and each one of them seemed to have a favorite thing to give someone with stomach pain. I think that Mama tried them all and Naomi threw them all up. Finally about 4 hours after the sun was up and it was starting to rise up high in the sky and warming up the air pretty good, Naomi fell asleep. Normally that would have been a good thing, but Mama said that something was really wrong with the way that she was sleeping and that she was really worried. She turned to Papa and looked scared. I had never seen her look scared before in all my life. That scared me and that even scared Papa. I think that it was then that he and Mama both began to believe that she was going to die from this. The doctor had not been able to help, none of the ladies in the village had been able to help and now Naomi was sleeping in a very weird way that worried Mama. I started to understand then that I might lose my sister. I went over to a corner of the room and sat down. I had never felt so sad before.It was then that one of the other leaders from the synagogue came by to tell Papa that the rabbi called Jesus was going to be arriving down at the lakefront in a boat with all of his disciples real soon and that they should go down to make sure that he did not lead any of the members of their synagogue astray with His crazy teachings. Papa was stunned. He could not believe what he was hearing. He especially could not believe that he was hearing it from his own wife with other men from the synagogue standing there. He was stunned. I have never seen Papa unable to talk before. But, he stood there for a full minute moving his mouth but nothing was coming out. Papa then turned from looking out of the window and stood up and looked tenderly at Mama. He then said to his friends, “You will have to excuse me. I have a very important errand to do for my daughter.” He then hurried out the door and headed down the street toward the lake. Mama turned her attention toward Naomi again. She kept wiping her forehead with a wet cloth and occasionally squeezing a few drops of water onto her lips. Papa’s friends from the synagogue made their excuses and headed out the door, out onto the street where they met up with some of the other men from the synagogue that were in the crowd outside. They talked excitedly for just a moment or so and then they headed quickly down the street toward the lake, picking up their robes so that they could walk quickly. Since no one was paying any attention to me, I took off to see where Papa was headed and to see what he was going to do. I could run a lot faster than any of them could walk, so I caught up with Papa just about the time that he got to the lake front. He looked around for a minute, but then he noticed the crowd that was gathering down on the shore where a boat had just come in. He walked directly over toward that crowd of people and pushed his way toward the man at the center of all the attention. I was able to be almost right behind him when he stopped right in his tracks when he came face to face with the most unusual man I had ever seen. I then saw something that I had never seen before in my life. Papa got fully down on the ground. He was lying face down right on the ground and he talking really loud so that the man could hear him really well. He was pleading with him to heal his little daughter. "She is about to die," he said in desperation. "Please come and place your hands on her; heal her so she can live." I had never heard Papa talk that way before. I was amazed. Well, by now I had figured out that this man was Jesus. Jesus bent down and took my Papa by his hand, pulled him up to his feet. Jesus looked him right in the eye and said to him, “Take me to her.” Papa stared into Jesus eyes for what seemed like a really long time and then he did something else that surprised me. He said in a very reverent tone, “Yes, rabbi” and then began to quickly lead him back up the street toward our house. I took off running back to the house so that I could tell Mama that Papa was coming home and bringing Jesus with him. Just before I reached the door of our house I heard people wailing and moaning. I had heard that before when someone had died. I got a real sick feeling in my stomach that something really bad had happened. I ran inside to find Mama and the other women wailing over Naomi. They were lamenting that she was dead. “Oh, NO,” I thought to myself. Not after what Papa has just done. Jesus is getting here too late. I just stood there for a minute looking at my sister. She didn’t look dead to me. She couldn’t be dead. She was too young. This couldn’t happen to my sister. I was suddenly overcome with a deep sadness. And then I felt angry that God would allow this to happen. I was very angry. Then I heard a lot of voices outside. Papa must be arriving with Jesus. Mama was going out the door to stop them from coming in. I ran out right behind her to see what was going on. One of the women had sent a message to Papa telling him not to bother bringing Jesus. When I got outside, I could see them talking. Mama and Papa were both standing there with Jesus in the street outside of our home. One of the women kept repeating that Naomi was dead and that they should not come into the house. She said that they needed to begin the preparation of the body for burial and that Jesus would be in the way. Mama and Papa both looked at each other and then they both looked at Jesus as if he was going to tell them what to do. He did. He looked at each of them and then he said, “Don’t listen to them and don’t be afraid. Just trust me.” He then moved past them toward the house. People were laughing at him, but he just continued to ignore them. On the way in he told everyone to move away from the house. He called to Mama and Papa and to three of his disciples to come in with him. They all went in with him. I ran over to the window so that I could see. When I got there, he was telling the other people that were in the house to leave. No one argued. They just left. Somehow people just obeyed him.Once everyone was outside they went into where Naomi was and Jesus leaned over, took her by the hand and said to her, “Get up little girl.” I tell you it was like she had just been laying there waiting for him to show up and say that. She just popped right up as though nothing had ever been wrong with her. She looked at Jesus for a minute and put her hand on top of his hand and then she smiled at him. Then she got up and walked right over to Mama and Papa and hugged them. It was amazing! I ran inside and got a hug of my own. I also looked at Jesus. He also looked at me. I felt something warm inside of me when he did that. I knew at that moment, deep in my heart that he had been sent from God. I understood later that He was the Son of God. But, anyway, life was never the same after that for my family. Before Jesus left, he made sure that Mama got something for Naomi to eat. He wouldn’t stay to eat himself, but we made it a point to take food to him and his disciples every time that they passed through our town. We all became followers of Jesus. I still didn’t understand a lot of things but I did understand that God loves us and cares for us more than we can ever imagine. And I will never forget the day that God sent Jesus to our house to prove how much He loves us. 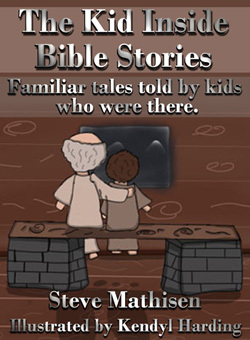 If you liked this bible story you will want more from this author, The Kid Inside Bible Stories!